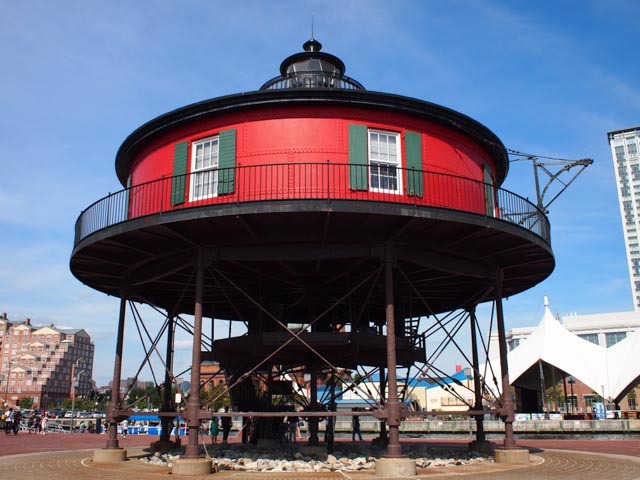 At the Baltimore Inner Harbor, if you keep walking past the aquarium and the Hard Rock Cafe, there sits a lighthouse known as the Seven Foot Knoll Lighthouse. A friend and I went hunting for it, because as many times as I’ve been to the Inner Harbor, I’d never even seen it. If you get the chance to wander the area, do make the effort to go around all the touristy buildings. It’s hiding in plain sight, just around the bend, and it’s a beacon of the past sitting in the middle of modern everything. It was built around 1854, and until 1919 keepers and their families lived in this house located out on a small mound of rock surrounded by ocean. They kept livestock underneath, grew vegetables on the deck, and had an incredibly modern (for the time) water system. 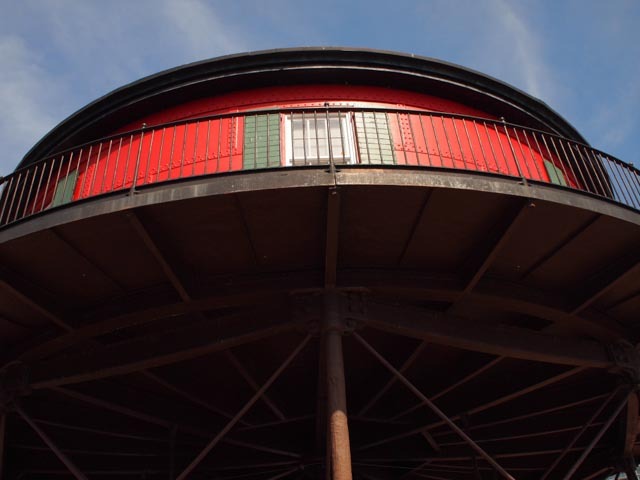 It was bought by the City of Baltimore and moved to its current location in 1988. Today you can walk up to it, around it, and climb all over it. You can see where and how those keepers lived, all those years ago. While I shudder to think what life must have been like surrounded completely by ocean, with no internet, it’s also incredibly romantic to think of those keepers, lighting the way for the safety of others. Pretty cool stuff.